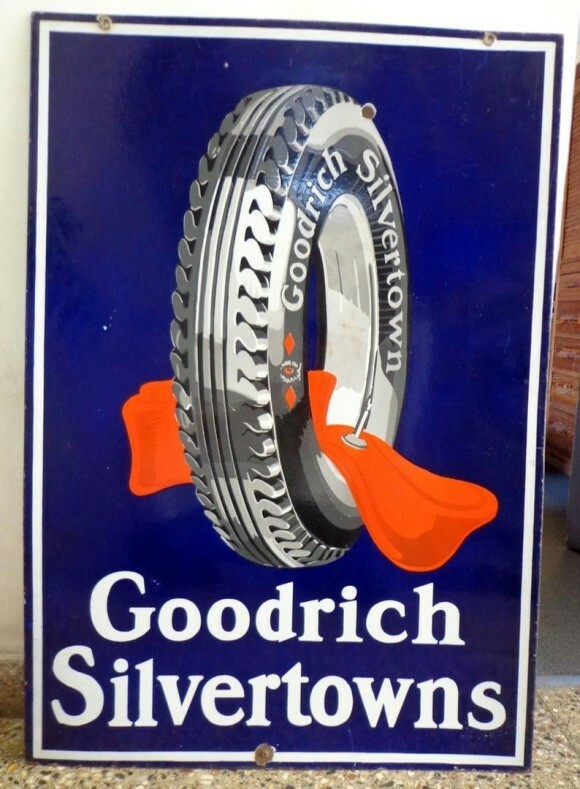 Measuring 27″ by 39″, this Goodrich Silvertowns sign has a large tire in the center with a red fabric draped over it. The tire is well designed and looks real. The background color of the sign is navy blue and there are white and red accents.